Cartoons. 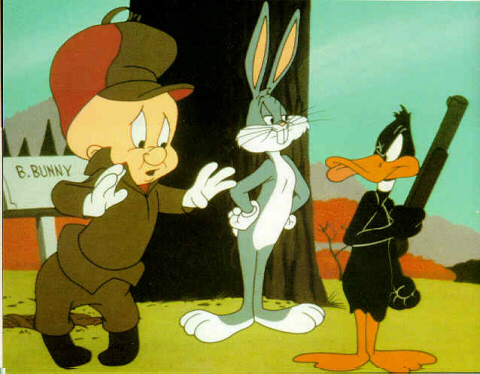 We all love cartoons, or we did, at least when we had the time to watch them. As we get older we phase away from them but, now with a couple of young children, I’ve been exposed to at least as many cartoon hours in the last few years than I have any actual memory of doing so as a child myself. Like most disenfranchised 30+ year-olds I naturally know that television was much better when I was a child than it is now. However, after the joyous advent of YouTube and the ability to re-watch episodes of Jason and the Wheeled Warriors, brought my memories back down to earth, I have nevertheless realised something. Cartoons just aren’t very funny anymore. Because, and this will be no surprise, cartoon makers are scared out of their pants. OK, so there have been some funny ones. Ren and Stimpy, Spongebob, South Park, The Simpsons and a few others, but these are not directed straight at children on the whole, and children are really easy to amuse, so why all the banal rubbish that’s on now, with satirical and cerebral cartoons, that are really pointed at adults, the only other decent options? Yep, they’re scared to get in trouble, from pressure groups ranging from churches, parent groups, moral guardians and governments alike. They don’t want to give out the ‘wrong’ message, or do anything that kids might copy and get them sued for. Sadly, I think I’d be the same if I were them. There are some adventurous and dark cartoons out there, like Batman: The Brave and the Bold, but compared to the cartoons of the 40s and 50s, they are super weedy. Honestly, that is not an exhaustive list. And, it’s hilarious. I’ve watched this DVD maybe 5 times myself now. But, really, is there evidence that children do this stuff because of cartoons? Maiming and blowing each other up? Did they ever? People do horrible things all the time, and I don’t think Wile E. Coyote falling off of a cliff are the cause. 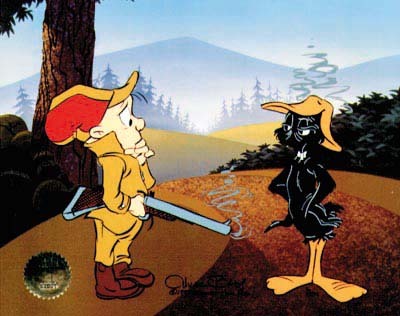 It was a sad day when somebody, somewhere said that Daffy Duck getting his beak blown around to the other side of his head by a double-barrelled shotgun wasn’t funny anymore. Previous Previous post: New Year’s Resolutions – Why the hell not.